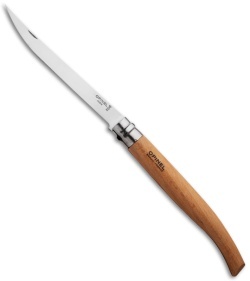 This Opinel Slim #15 folder has a slightly flexible INOX stainless steel blade and Beechwood handle. Includes the Virobloc safety ring that locks the blade in the open and closed positions. This Opinel pocket knife is lightweight and inexpensive while displaying simple sophistication. 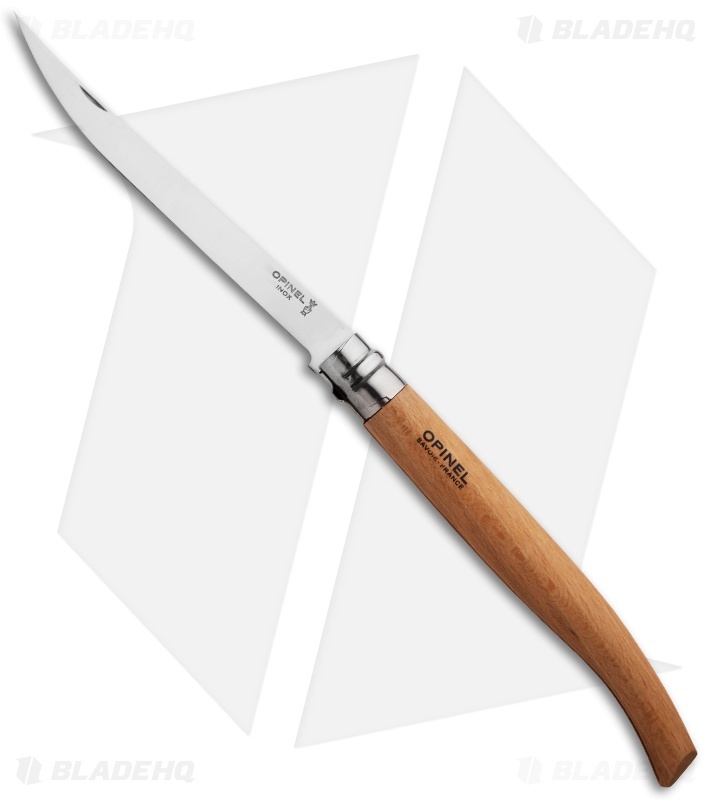 All slim knives have a narrow flexible blade, the smallest ones are great to cut fruits and vegetable and the larger ones fillet fish. 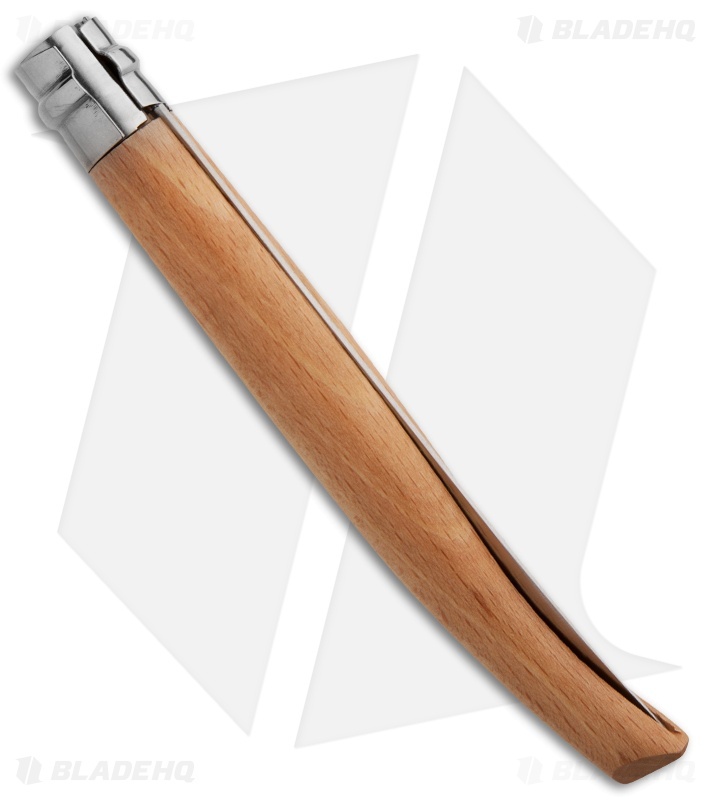 Please keep in mind that the Slim knives have a slightly flexible blade and are not designed to be use for heavy duty task.